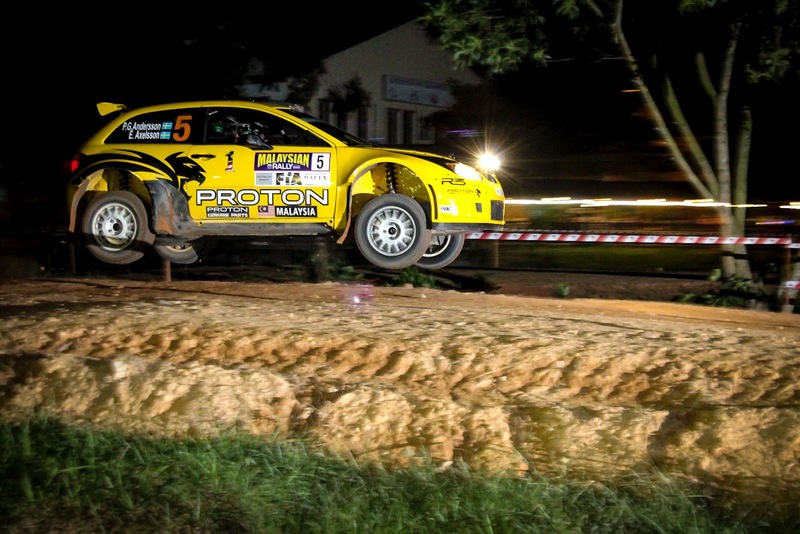 14 July 2012, JOHOR BAHRU - The conditions were not ideal but Per-Gunnar Anderson in a Satria Neo 2000 came through the mud and the slush to clinch the opening round of the Malaysian leg of the Asia Pacific Rally Championship yesterday. The constant drizzle over the Tai Tak Estate yesterday made conditions tough, so tough that the organizer had to cancel one stage of the race simply because of it's poor condition but then again Anderson and co-driver Emil Axelson were in their element to complete the estimated 115 km race in the fastest time of 1hr 48mins 49.9secs. Second fastest was India Guarav Gill also in a Skoda Fabia with his co-driver Glen MacNeall of New Zealand in 1hr 50min 12.6secs while Proton Motorsports Alister MacRae and partner Bill Hayes came in third in 1hr 51.04.4secs. The weatherman had predicted rain over the area over the past couple of days and true to their prediction, the rain came throughout the entire morning, making conditions a challenging one instead. As Karamjit Singh, Malaysia's No 1 rally driver who came in fourth yesterday said: 'It was tough out there today. The roads were so slippery and a slight mistake could see you pay a heavy price. 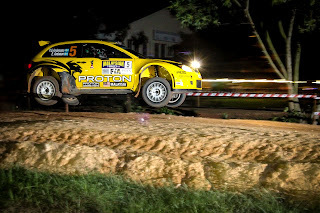 But then again the conditions are same for everybody,"
Karamjit, driving a Proton Satria Neo with Vivek Ponussamy was timed at 2hrs 08.02.2secs with New Zealand's Brian Green in a Subaru Impreza was fifth in 2hrs 09.50.9secs. "More rain are expected tomorrow and I believe conditions will not get any better. So it's all a matter of staying in control tomorrow," said Karamjit.